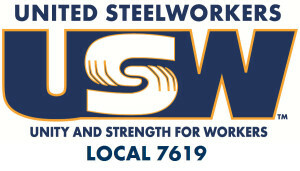 The United Steel Workers Local 7619 represents members of the Highland Valley Copper Mine in British Columbia, Canada. Our members are men and women of diverse training and cultural background. We are proud of our diverse membership – it represents the diversity of Canada. The membership of Local 7619 can rely on the strong and democratic leadership of their elected committees and Local Executive, which continues to work hard and has diligently supported our membership through the years. Every Steelworker has a voice and a vote because it’s the members who run the union. Local 7619 is continuously working on improving job security, a healthier and safer place to work, and addressing issues pertaining to our membership. We have been able to bargain one of the best Collective Agreements in Canada. Choosing the Steelworkers means joining 250,000 other members in the most diverse private sector union in Canada. Local 7619 is represented by an Executive Committee. This committee is elected every three years by the HVC membership in an open and secret ballot election. Below is our current executive for the 20015-2017 period. SOAR CHAPTER 25 OF RETIREES PRESIDENT – Kyle Wolff, President. Lidys Garcia, Fin Sec.